Kunle' Adeyemi during his introduction in the Abby and Howard Milstein Auditorium in Milstein Hall. Adeyemi lecturing in Milstein Hall. Questions and answer session with Adeyemi, Mark Cruvellier, and architecture students on the Stepped Review in the L.P. Kwee Studios. Adeyemi with student model in the Department of Architecture office. Kunle' Adeyemi during his introduction in the Abby and Howard Milstein Auditorium in Milstein Hall. 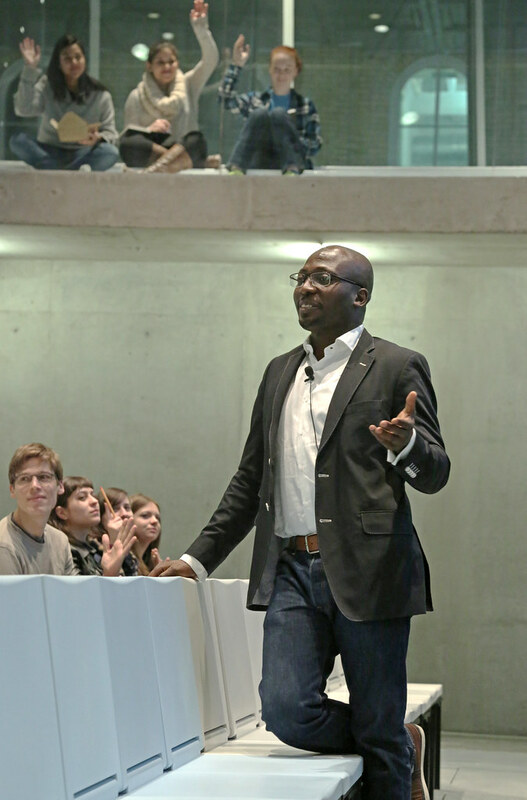 Adeyemi lecturing in Milstein Hall. Adeyemi lecturing in Milstein Hall. 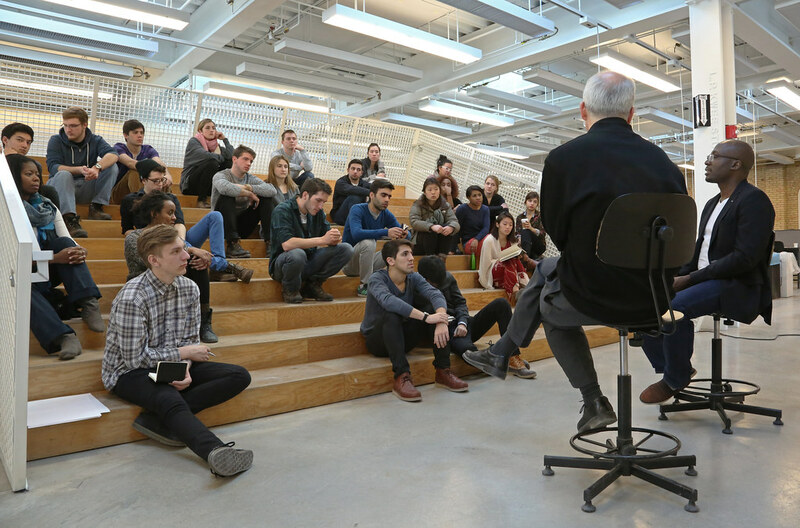 Questions and answer session with Adeyemi, Mark Cruvellier, and architecture students on the Stepped Review in the L.P. Kwee Studios. Adeyemi with student model in the Department of Architecture office. 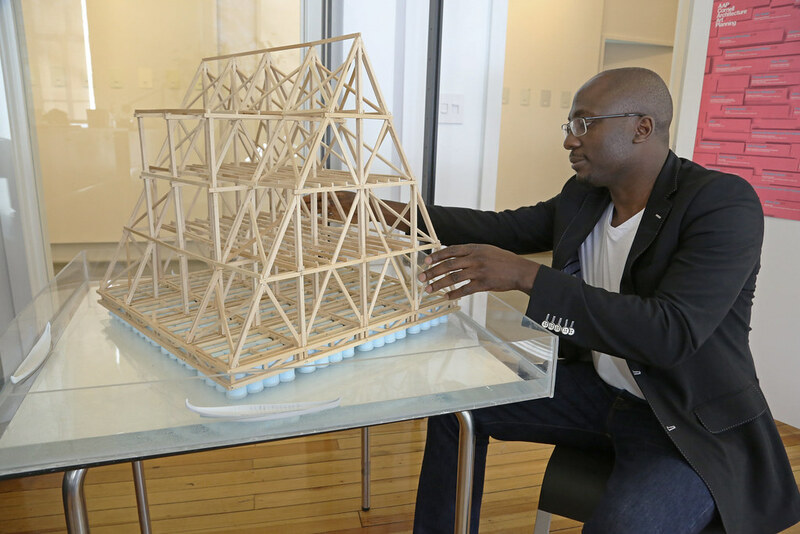 Kunlé Adeyemi is an architect, urbanist, and designer. He is currently best known for creating Makoko Floating School, an innovative, prototype floating structure located on the lagoon heart of Nigeria’s largest city, Lagos. This acclaimed project is part of an extensive research project – African Water Cities – being developed by NLÉ, an architecture, design, and urbanism practice founded by Adeyemi in 2010, with a focus on developing cities. Born and raised in Nigeria, Adeyemi joined Rem Koolhaas at the world renowned OMA in 2002. At OMA he led the design and execution of several large and prestigious projects in Europe, Asia, Africa, and the Middle East. These include the Shenzhen Stock Exchange tower in China, the Qatar National Library in Doha, and the Prada Transformer in Seoul. Adeyemi is currently one of five members of the International Advisory Council for the World Design Capital 2014, a fellow of the World Technology Network, and an international speaker, lecturer, and visiting critic. 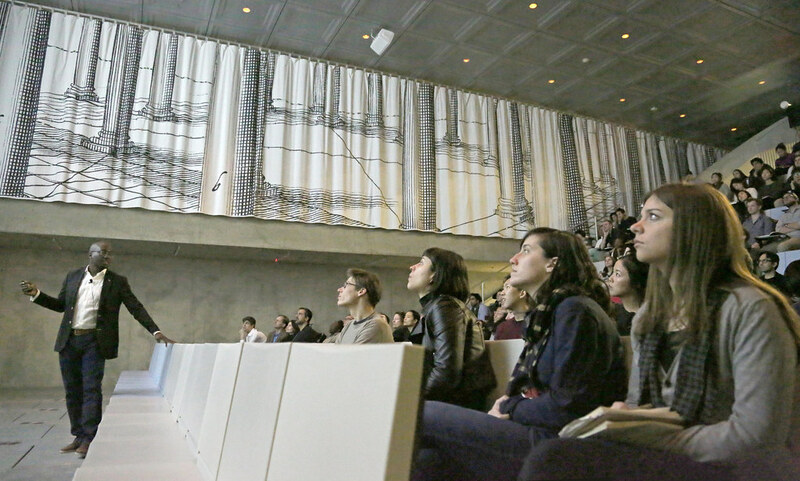 He has recently presented at Harvard, MIT, Princeton, and Milan Design Week. 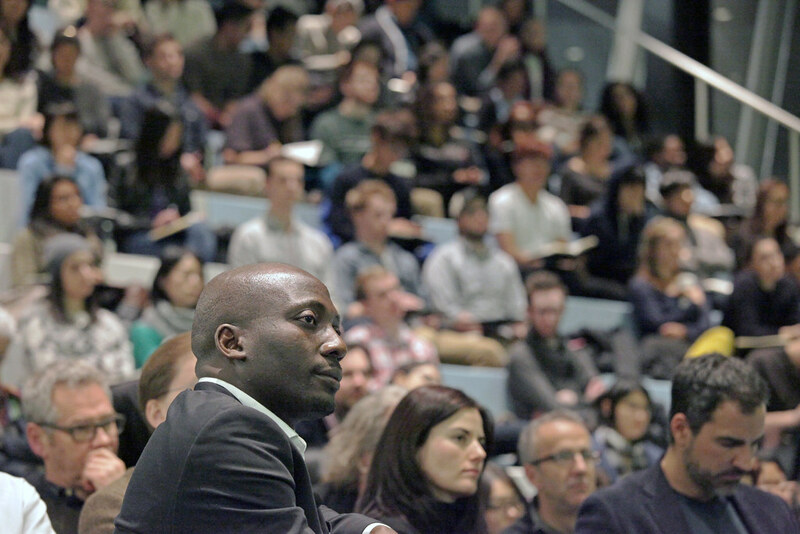 On January 30 there was an informal discussion with Adeyemi for faculty and students on the stepped review in the L. P. Kwee Studios in Milstein Hall.